Looking to save money on shaving razors? 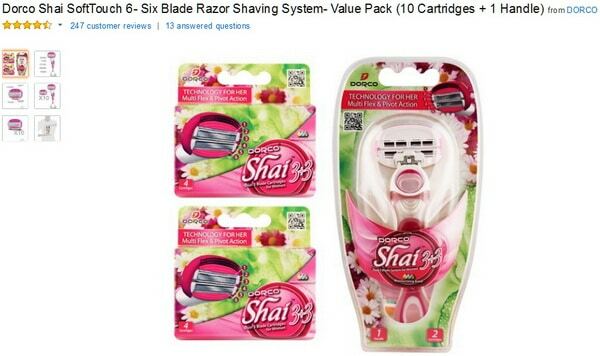 You may feel ripped off buying expensive replacement razor blades. The majority of people (men and woman) use Gillette razors. These are great razors and they completely dominate the market. However, these razors are expensive and do not last as long as they did in the past. A 12 pack of Gillette Fusion cartridges can cost in upwards of $50. People are not willing to overpay on razor blade shaving cartridges that wear out fast and you find yourself using dull blades to save money. 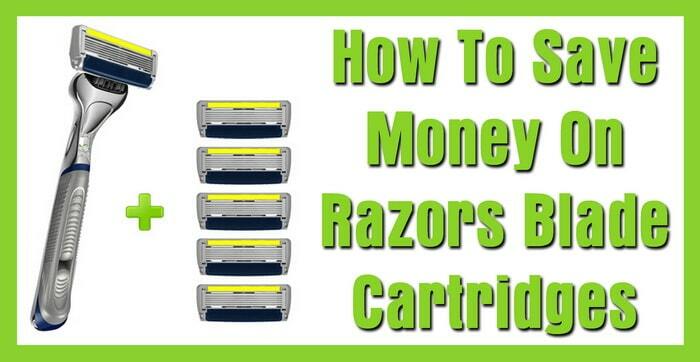 If you are looking on ways to save money on razors, here are some options to save you money. DSC or Dollar Shave Club has many options. 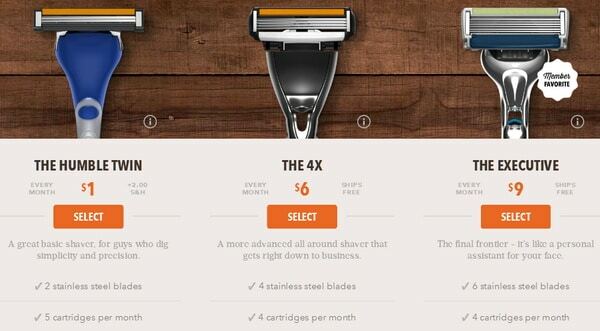 They offer monthly subscriptions for the following razors… “The Humble Twin” a 2 blade razor which is 1 dollar a month, “The 4X” a 4 blade razor which is 6 dollars a month, and “The Executive” a 6 blade razor which is 9 dollars a month. Each package contains enough to shave for one month, see image below. We have tried “The Executive” 6 blade razor from DSC and found that it shaved better than Gillette razors and lasted much longer. We did some research and found that Dollar Shave Club gets their razors from a company called Dorco. Dorco is a company based in South Korea. 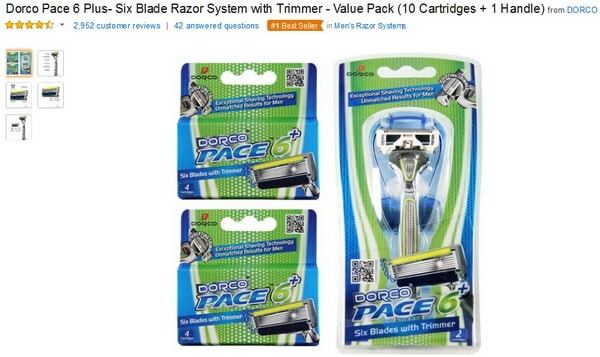 We found a pack of Dorco Pace 6 Plus (Six Blade Razor System with Trimmer) Value Pack which contains 10 Cartridges + 1 Handle for $20.99 on Amazon Prime. We found that buying the blades in bulk directly on Amazon is cheaper than using DollarShaveClub or any other money saving razor company or product. Dorco blades perform and shave just as good as Gillette. The Dorco blades also do not clog up with hair and you won’t get as much irritation or cuts. They last longer and work better. So consider buying from Dollar Shave Club, DORCO USA, or AMAZON to save money on shaving. Do you know of an even cheaper way of shaving? Let us know by leaving a comment below.